Engineering Design Center (EDC) was created in April 2000 under an agreement between General Electric Aircraft Engines and the Institute of Aviation. EDC is one of several global GE establishments located outside the United States and cooperates with such GE businesses as GE Aviation, GE Energy, GE Oil&Gas and GE Rail. It also carries out cooperative works with similar GE scientific and engineering centres located in India, Mexico, Turkey and the United States. The engineers working in EDC cooperate also with GE’s partners located, among others, in Germany, Italy, United Kingdom, Romania, South Korea and Taiwan. In the first stage of its activities, the engineers working in EDC were involved mainly in projects in the field of aviation. In 2007, the first group of engineers started to work that was engaged in projects in the field of energy and petroleum industry. Currently, nearly half of the engineers employed in EDC are related with these two areas. 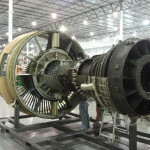 The engineers working in EDC are engaged in the design and improvement of parts of units of aircraft engines, turbine propulsion systems for ships and turbines for land applications (using of the so-called areoderivative gas engines as electricity generators), high-power gas turbines, steam turbines, as well as power boilers and environment protection equipment, such as filters and electrostatic precipitators. The engineers from EDC are also involved in design, analysis and servicing of such machines as compressors, turbonexpanders and gas turbines used in the petroleum and chemical industries. EDC also carries out activities related to supporting production and testing of parts and components. EDC enables the use of the intellectual potential of the best graduates from Polish universities of technology, allowing Poland to keep the most talented engineering graduates in the country. Thanks to the fact that EDC has the most talented Polish engineering staff, the centre can participate in ambitious projects such as design of the most modern jet engines in the world. EDC was involved in the engineering works related to creating one of the most technologically advanced and most innovative aircraft engines, i.e. Genx, which was created as a part of the GE Ecomagination initiative. This engine will be installed, among others, in the latest Boeing air crafts model B747-8 and 787 Dreamliner. The engineers working in EDC were responsible for the key solutions of many of its components and worked at its design from the very outset. EDC closely cooperates with the best Polish technical universities by organizing numerous practical and technical trainings, as well as by supporting competitions for engineers and university research groups. EDC is also a technical partner of many educational conferences. Every year, more than 100 future engineers take part in the practical trainings organized by EDC. “The vision of EDC has been constantly evolving since the foundation of this centre in 2000. In the beginning, it was a centre dealing exclusively with aviation projects. Later, our colleagues from other sections of GE saw the skills of the Polish engineers working in EDC and created their own units here, this clearly shows that when talking about advanced technologies, Poland is definitely a place worthy of attention“. 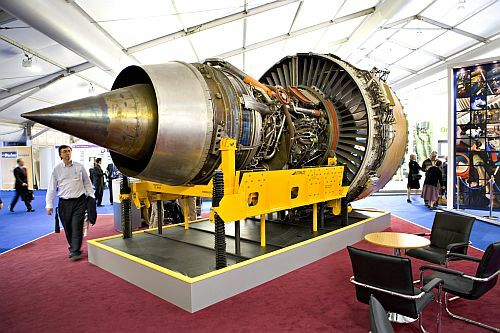 GE Aviation is the leading manufacturer of jet engines for civil and military aviation in the world. GEAE produces 37 types of engines that power 91 types of aircrafts. In addition, the company produces engine derivatives for propulsion of ships and power plants, and renders services (through GE Engine Services) in the field of repair and maintenance of aircraft engines. GE Power&Water is one of the world’s largest suppliers of technologies and equipment used to produce electricity. As regards equipment, the offer includes gas and gas-steam turbine units, cogeneration solutions for urban and industrial heating applications, coal gasification systems and technologies for power generation from renewable and nuclear sources of energy. The services of GE Energy include comprehensive maintenance and repair of equipment, design, configuration and installation of process control systems and equipment, resource optimization, network management and emission reduction technologies. GE Oil&Gas is the global leader in high-tech production and servicing in all segments of the broadly understood oil and gas industry. 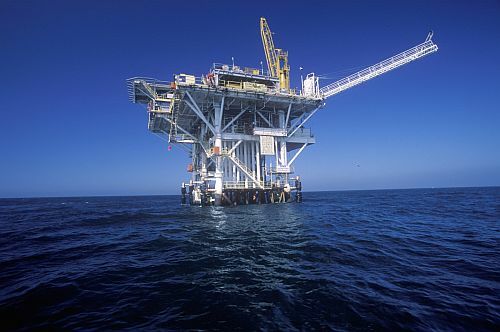 The company, with its headquarters in Florence and many branches in the U.S., Britain and France, offers integrated solutions for natural gas transportation and extraction, processing and storing of all hydrocarbons and asset management services in this field. Institute of Aviation was founded in 1926. It is one of the oldest research institutes in the country. In the years 1954–1997, the institute managed to obtain 390 patents, 53 protection rights for utility models and one right to register a trademark. The Institute of Aviation conducts scientific, research and design works on aviation and other technical fields where related problems appear. For more information, please visit the company’s website at: ilot.edu.pl. GE (NYSE: GE) is a company guided by the slogan “Imagination at Work”. It carries out diversified activities in the markets for technology, media and financial services and focuses on solving the most difficult global problems. The company renders services to clients in more than 100 countries and employs more than 300 thousand people worldwide, offering products and services as diverse as aircraft engines, equipment for power generation, water treatment technologies, security, medical imaging, funding for individual customers and businesses, television content and advanced plastics. For more information, please visit the company’s website at: www.ge.com/en. GE Polska started its operations in 1992. Since then, the corporation has become one of the most important companies in the country. Most important divisions of GE have their offices in Poland. In the years 1992–2007, GE investments in Poland exceeded 400 million USD. In 2007, GE’s sales in Poland reached more than 1 billion USD. 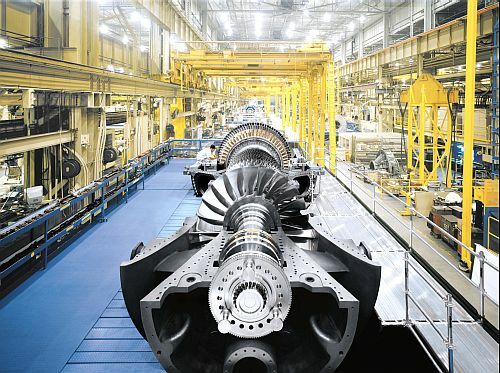 GE employs 6.500 people in Poland and owns, among others, 3 factories (GE Power Controls in Kłodzko, Łódź and Bielsko-Biała), GE Money Bank, Engineering Design Center (in cooperation with the Institute of Aviation in Warszawa), GE Security Design Centre in Gdańsk. GE closely cooperates with LOT (joint-venture company). GE’s products and services are actively promoted through a network of distributors and numerous sales offices. For more information, please visit the company’s website at: www.ge.com/pl.